These instructions explain toner installation procedures for a brother tn420/ tn450 toner cartridge. The original toner cartridge that was included with this machine may either be a starter, standard, or a high yield cartridge. When the toner becomes low, the TONER LED indicator light will flash continuously until replaced. Once the toner cartridge is empty, the printer will enter a “REPLACE TONER” mode that ceases print functionality until the toner cartridge is replaced. 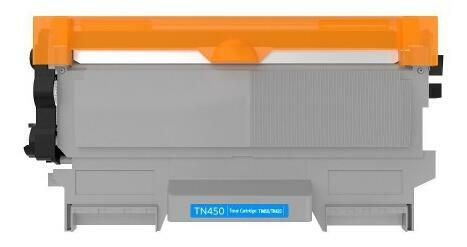 A new and unused toner cartridge will reset the “REPLACE TONER” mode. 1. Check to ensure that the dial on the left side of the brother toner cartridge is in the position as illustrated in the image below. If not, turn the dial counter clockwise until it matches the position in the image. 2. Check to make sure that the printer is powered up during the entire process. Changing the cartridge with the printer powered off will not reset the “REPLACE TONER” mode. 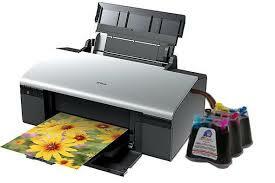 In the event that the printer is powered off when the cartridge is installed, you will need to remove the cartridge and repeat step one before reinstalling the cartridge. 1. Make sure that the machine is powered up. 2. Open the front cover of the machine. 3. Remove both the drum unit and toner cartridge assembly. 4. Push down the green lock lever and take the toner cartridge out of the drum unit. 5. Unpack the new toner cartridge. Hold the cartridge level with both hands and gently shake it from side to side several times in order to distribute the toner evenly inside of the cartridge. 6. Pull off the protective cover. 7. Note: Before installing this cartridge, please check to ensure that the dial on the left side of the new cartridge is positioned identical to the image below. If not, turn the dial counter-clockwise until it matches the dial position in the image. It is imperative that this dial be locked into position as illustrated to ensure that the printer detects that a new cartridge has been installed and resets the “REPLACE TONER” mode. 8. Put the new toner cartridge firmly into the drum unit you hear and feel it lock into place. If installed successfully, the green lock lever will lift automatically. 9. Clean the primary corona wire inside of the drum unit by gently sliding the green tab from right to left and left to right several times. 10. Reinstall the drum unit and toner cartridge assembly back into the machine. Close the front cover.